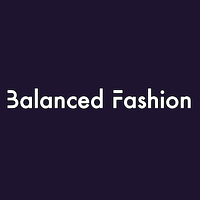 Some of you already know that I am working on a 360° article series on the topic of Circular Economy in Fashion that is planned to come out this Spring. I'm a firm believer in fashion's necessary and natural transition towards circular economy so I have been speaking, organizing events, and consulting my clients on the concept of circularity in fashion for a couple of years now. Companies like The Renewal Workshop are essential for "closing the loop", they turn discarded clothing and textiles into Renewed Apparel. At The Renewal Workshop, data is collected on everything that flows through the system and is given back to their brand partners to help them improve the production and design of future products. It is a zero waste system that recovers the full value out of what has already been created as a way of serving customers, partners and planet. Listen to my interview with Nicole Bassett, Co-founder and CEO of The Renewal Workshop for the Fashion Is Your Business podcast to learn more about this company's direct contribution to circular economy in fashion.